We are delighted to announce the coming of our second meeting for the TAG Comic Book Club! 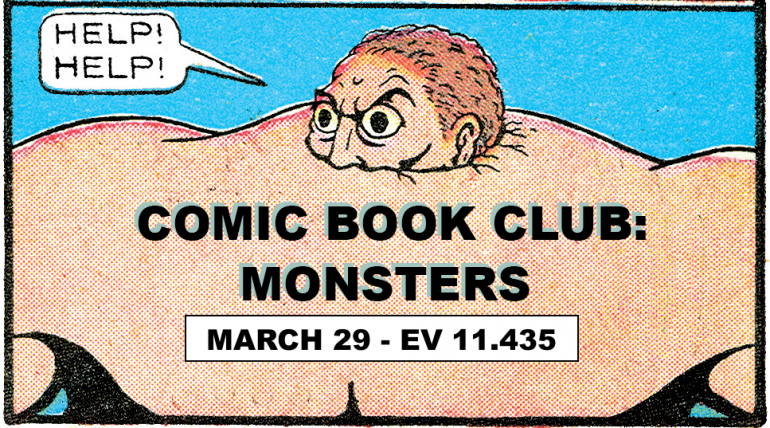 For this instalment of the group, we’ll be talking monsters in comics, monster comics, and comic monsters. So please come with one or two comics featuring monsters or the monstrous that you’re interested in discussing (or just come ready to talk about such a comic you know of and love). We will also experiment with some collaborative comic creation, and again open up discussion for the stuff we love and hate—rants welcome. So come flip through some comics, chat about them, and eat some snacks! See you on March 29th at 5pm.